Face the Mother of all Dragons! Stolen away from their former lives, the Heroes are brought to an unknown land — a beach of black sand and ash on a faraway volcanic island, where they will use their legendary powers to challenge mighty Vastaryous and her vicious Drakonians! Vastaryous' Lair is a new epic campaign, to be played by Heroes of maximum Soulrank, as the epic conclusion of the Immortal Souls cycle. Play Skeld, a Dwarf berserker of tremendous strength, a legend among its kin, always ready to fight to the death. With each Sword & Sorcery Hero Pack, you have the possibility of introducing a new, powerful character into your campaign. Fly your Viper to fight off the menace of the Cylons and defend the Galactica! 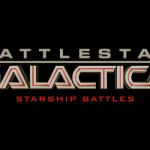 You can now expand your Battlestar Galactica-Starship Battles game with additional Spaceship Packs. The Viper is the primary space superiority fighter/attack craft of the Colonial Fleet. At the time of the First Cylon War, the Mark II was designed specifically for use with the Colonial Battlestars. Get a Viper to fly with a custom pilot, or Starbuck's Viper, including her pilot cards ̵ or both! 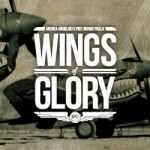 Fly your Raider into battle to finally win the war against the Colonies! You can now expand your Battlestar Galactica-Starship Battles game with additional Spaceship Packs. The Raider is the primary Cylon assault craft: a bio–mechanical, self–aware living creature, with a complex system of organs, veins and biological fluids inside its main body. Get a Raider to fly with a custom pilot, the frightening Cylon veteran Scar, Starbuck's Captured Raider ̵ or all three! As the siege of Pogoren escalates, its citizens must employ new methods of survival. Find safety - and new dangers - in the underground. Meet newcomers from the countryside, bringing new dark tales, and new opportunities as well. Find new scenarios, new miniatures, and new stories in the modular expansion Tales from the Ruined City, the first to the acclaimed and innovative This War of Mine - The Boardgame. Meet Van Helsing and Sherlock Holmes, Vampires and Imps, Queen Victoria and the Baker Street Irregulars, in this thrilling mash-up of Victorian mystery and horror stories. Play as a Hero or a Monster, but be careful to keep your true allegiance hidden as long as you can! Monsters vs Heroes – Victorian Nightmares is a fast and fun card game for 2 to 8 players. 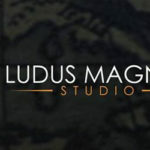 Ares to bring Ludus Magnus’ games in English to hobby stores, starting with the magical combat game Black Rose Wars. 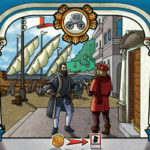 The game of cunning, intrigue and deception set in Renaissance Genoa is now available in the best US shops. The second wave of Spaceship Packs is due to release this summer, introducing new spacecrafts for Colonial and Cylon fleets.